Feel the thrill of intense jumping and shooting through your veins! Experience the true extent of your skill being tested and the suspense of brand new never before seen levels and challenges in Pigeon Pop. The latest release from Fortafy Games has been met with great success as was expected because it is similar to the many trending arrow shooting games on the market these days. Pigeon Pop is available to download and play for free on iOS devices from the Apple iTunes App Store as well as on Android devices from the Google Play Store. The game offers an interactive gameplay and retro style graphics in a very handy package size of only 130 MB. Even though the game does not offer a 3D perspective and goes with the 2D perspective outlook approach, you will notice that this only adds to the appeal of the game and you will find yourself glued to the screen of your smartphone for hours on end. The concept of the game is similar to most of the arrow shooting and aiming games on the market with the addition of many new cool features. Pigeon Pop now offers the option of customizability for your shooting character in the game as well as for the environment. So now you can get all the high scores you want while experiencing pure eye catching and extremely attractive levels. The game now also has a vastly extended collection of new levels for you to choose from. Add to that some new awesome stages and you have got yourself a truly worthwhile update to an absolutely phenomenal game. As expected the game is rated for players of all ages. Pigeon Pop is a game which rewards you reasonably well for the amount of effort that you put into it. The learning curve is also very well adjusted for players of all skills. If you have played the first game in the arrow shooting game series, you will feel quite comfortable while playing this edition as there is no huge change to the general gameplay mechanics. However, even if you are a new player who has never had any experience of playing an arrow shooting game before, the in game tutorial and friendly user interface will most certainly put you at ease. The real difficulty starts when you have crossed many levels and survived for a long time on any level as you unlock higher stages. At these points you will find yourself overpowered by the stage difficulty and you will have no other option than to either upgrade your character to match this difficulty level or to purchase another stage and start your progress over there. This is of course what you would do when playing without any help but after reading the tips mentioned in this guide you should have a wide variety of options to look towards whenever you feel stuck or overwhelmed by the stage or your luck. Like all other endless shooting games, the most important skill to master in Pigeon Pop is your control over the movement of the main pigeon shooter. Unlike other 3D games however, this skill is mastered in a different way because you will be viewing your character in a 2D perspective which makes the controls unique. In Pigeon Pop, there are pigeons of varying appearances which you can control. The directions you can have the pigeons move in are forward, backward, jump up and down. The first two directions are quite basic and need no tutorial for even a new player to master. 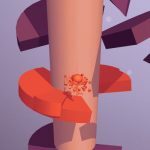 However, the jumping of your pigeon is composed of a combination of the forwards and backwards directions which makes the movement of your characters much more unpredictable and these are the controls that you should make a top priority to master as soon as possible if you want to progress beyond a certain level in Pigeon Pop. There are no independent controls for making your pigeons jump up or down. The movements are achieved through pressing the left side of the screen of your smartphone or the right side by a certain amount according to the degree of movement required while your pigeons are in the air. For example if you want to make sure that your pigeon is able to jump consecutively for a series of two to three times, you will need to keep tapping both the left and right sides of the screen of your smartphone in order to achieve this movement. Similarly if you want to achieve a more extreme range of motions like a horizontal long jump, front swinging jump or even other multiple aerobatic motions, you will need to keep the left side of the screen pressed for achieving a front swinging jump and the right side of the screen pressed for a horizontal long jump. Pigeon Pop employs some weird physics so you will immediately notice that performing a front swinging jump in quick succession after getting into the air is much harder than doing a horizontal long jump for the same air time due to the additional drag resistance on the pigeons in the former motion. In addition to the regular motions and special acrobatics another important step to mastering the controls of your jumping in Pigeon Pop is to know when to jump and when to hold back during a specific stage. Each stage has its own difficulty curve which increases as you unlock and purchase higher stages. There is however a set pattern to this increase in difficulty for each stage and with enough practice on a certain level you can become very familiar with this pattern. For example in the classic first stage with the green round food bowl, you will get the initial jumps of nearly similar length followed by a much longer and harder jump. Now this pattern repeats over the duration of the stage with increasing narrowness of the food gaps which makes a swinging jump much harder. However if you develop a knack for jumping at the right time, you will always be able to clear these obstacles without batting an eye. Needless to say, your mastery over the jumping of your pigeons will always prove to be beneficial in any situation while playing Pigeon Pop. 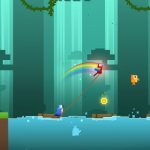 Pigeon Pop is all about being top on the leaderboard and that can only happen when you have a keen sense of the things needed to get a great high score. It might seem that progressing as far as you can on a certain level is the best way to get a good score but there are actually ways unknown to new players which will help you achieve a lot higher score at the expense of a comparatively low amount of effort put into the game. These techniques can be divided into three categories each of which is subsequently discussed below. You can choose to follow any one of these or even combine all three to achieve the maximum boost to your high score in the game. The easiest way to give a nice boost to your current high score on any level is to start performing approximate calculations while your pigeons are flying off from the edge of a peak or a cliff on the level. The number of calculations that you are able to perform while these big jumps are being executed is not restricted and it all matters on your skill and mastery over your reflexes. 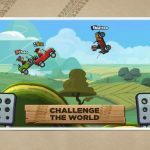 There are three main kinds of aerobatic motions and you can perform Combos by chaining together multiple jumps in quick succession in order to achieve a high score multiplier which will further boost your score on the level. The most common form of in air motion experienced in Pigeon Pop is the big jump bonus. This motion is quite natural and occurs whenever your pigeons fly off the edge of a cliff or hill peak for a longer than normal jump. It is a very desirable type of motion because the longer you stay in the air, the greater your multiplier will be when you perform aerobatic motions during that air time. The key to getting as much air time as possible is to always keep the left side of the screen pressed and your pigeons even when you see monsters or obstacles looming ahead. Not only will this add to the excitement and rush of adrenaline that you are bound to experience, it will almost certainly lead towards the coveted “big jump” time. This is the maximum air time you can get and you can chain together multiple motions during this huge jump. The “big air” should be aimed for in most situations but you should be careful only when you have many obstacles in front of you. Whenever you have a feeling you will not be able to make a certain jump just lightly tap the left side of the screen to initiate a small jump that will propel you to the edge of the cliff so that you can better judge the distance of the jump and make it more confidently the next time that you attempt it. Pigeon Pop is an endless shooting game so there is no restriction on how many times you can repeat a level and you can abuse this feature to always get ahead of the difficulty curve in the game. The main problem which most players face is the lack of coins available to upgrade their characters in order to tackle a hard level that they just unlocked and purchased or for the purchase of a better looking background. 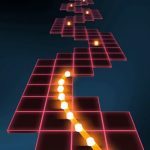 Repeating levels also has the added benefit of making you familiar with almost all the obstacles and dangers that you are likely to face during that particular level. Therefore with enough practice you can easily predict which obstacle is next in line on a particular level and make arrangements to deal with them beforehand. This is an objective which should be on your low priority list. If the two options mentioned above do not work well with you then you should try out collecting as many food items as you can as you progress through any stage. The food starts at low denominations and increase as you move further in the stage to a maximum of 5000 value points. Now the problem with making this a primary source of your high score is the random distribution of food sources along the way. Sometimes you might get lucky and get an entire series of 5000 value food items which will definitely propel you much further than the other two techniques but at other times you might get stuck with only 100 or 500 value food items which will surely annoy you to no end. The developers of Pigeon Pop have made sure to add an extra challenge to the game by introducing highly explosive TNT bombs at random spots on the spinning food wheels. These bombs are clearly marked with the name TNT and are in the shape of dynamites but the problem arises when they just randomly appear out of nowhere and you have already initiated a pigeon jump to go after the food on the spinning wheel. Therefore it is very necessary for you to lookout for these bombs beforehand and to even allow some bonus food to pass away if it is too close to a TNT bomb on the spinning wheel. This is because spending an extra life in the game is just not worth the few bonus points that you could get from taking such a risk with the spinning wheel. Always remember that the end objective in Pigeon Pop is to attain as high a score as possible and by risking your life and playing around with the TNT bombs, you would not be doing your chances to achieve this objective any favors!